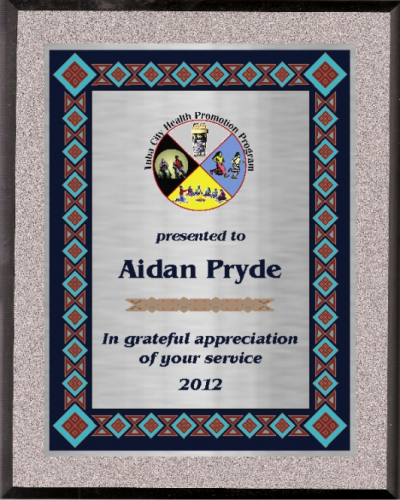 Simulated Granite Native Heritage Plaque with rich Native American border designs. Includes your custom logo. Granite Native Heritage Plaque 7" x 9"
Granite Native Heritage Plaque 8" x 10"
Granite Native Heritage Plaque 9" x 12"